First I must convey my deepest apologies as the High House became a back burner topic for myself and the High Council alike. My concern for the Kingdom of Duros has risen greatly over the past months as I saw our House in disarray. Many thrived while many were ignored and eventually forgotten. My arrogance and lack of priority played a large role in this. 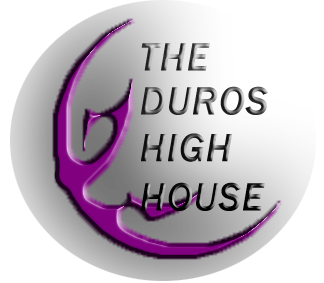 It brings me great joy to announce that the Duros High House has worked through a long process of passing a Code by which all Duros House House members will be governed. Zerop Singh was the winner of the first of many Duros High House Raffles. Zerop walked away with a Custom BFF-1 Bulk Freighter FREE of charge thanks to generous donations from the Duros community and the artwork of one very talented Ellias Aubec. Please keep a close eye on the Duros High House holosite and the Gambling Hut for more free Duros-only giveaways. Win a FREE BFF-1 Bulk Freighter! The Duros High House has provided Duros across the galaxy the opportunity to win their very own BFF-1 Bulk Freighter. That's it!!! And it's free, so try to give me a reason not to do it. On day 202 of Year 13 a group of Duros decided to band together with an idea of unity. Those same Duros decided rather than create a new organization altogether that they would rather resurrect a Durese tradition thought lost many millenia ago. » Raffle to introduce DHH to the galaxy. » Congratulations to Zerop Singh! » Win a FREE BFF-1 Bulk Freighter! Raffle to introduce DHH to the galaxy.